I hope you find this webinar useful. Recently I was talking to a customer. He discussed a simple but important problem with me on test automation using Test Studio. He had a requirement to use values of variables from one test step in another test step. To understand this problem in better way, consider below web application which is inserting data in database. Let us try to understand this problem bit further. Suppose you have 6 test steps in test. In step2 user is typing UserName to be inserted. Reading of username is done in step 4. So here you are reading value from step 2 in step4. Use read value of step 4 to verify insertion in database. In this post we are going to see how we can read variables value from one step in another step. In this case from step 2 to step 4 and then in step 6. To use variable from one step in another you need Coded step. To add coded step select Test from menu and then Script Step from ribbon. In Visual Studio extension Coded Step can be added by clicking Add then selecting Coded Step. If you notice test steps in we have taken in example there are two test steps (step 4 and step 6) are coded steps. In step 4 we are reading user inserted value as below and assigning that to a public global variable. In step 4 (coded step) we read value from step 2 or in other words value from DOM element in which value got assigned in step 2. Now we need to read global variable value in step 6. In this way very easily you can read variable values from one step in another step in a test project. I hope this post will help you. Thanks for reading. Telerik Mobile Testing is an automated testing solution for native, hybrid, and web apps. To discover more about this product, I would recommend reading Robert Shoemate’s blog post entitled, Introducing Telerik Mobile Testing, where he details our motivations for building the product along with its technical underpinnings. In this post, I’ll explain how to configure devices to integrate as test agents with this environment. As an example, we’ll explore to configure an Android device as test agent on a Windows machine. However, if you’re interested in learning how to perform testing against a native iOS app, make sure to check out Anthony Rinaldi’s blog post entitled, Telerik Mobile Testing – iOS Case Study. What is a Test Agent? Why we need Test Agent? Why we need to add a real device as Test Agent? Test Agent is a place in which you run the test. It could be a computer, emulator, simulator, browser or even a background process. Test Agent can be seen as an environment in which test gets executed. Any serious mobile application should get tested before launching to various stores. As a tester you should or rather must test application on real devices. For instance consider Android platform, it has more than 1000 variations of devices and any serious Android application should be tested on some of them. To test application on device you need to add them as Test Agent. Same challenges goes with iOS app as well. They run on various version of operating systems and you should test applications against almost all versions of OS. Telerik Mobile Testing allows you to add devices as Test Agent. You can add any kind of Android or iOS devices and run test on them. You can add devices as Test Agent without jail breaking them and only requirement is that devices (Test Agent) and Test Runner should be connected to same Wi-Fi networks. 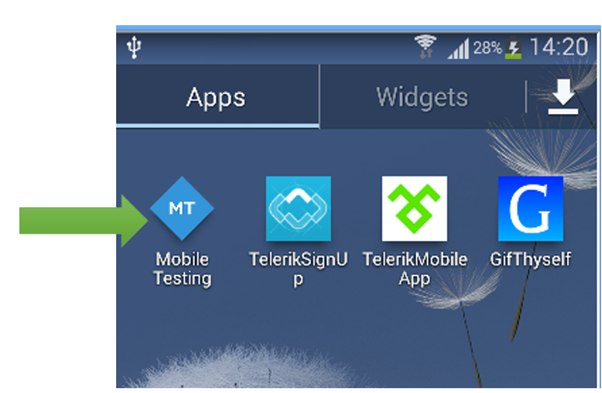 Telerik Mobile Testing allows you to add real devices and emulator as Test Agent at the same time. So any testing scenario in which application should be tested on device and emulator at the same time can be possible here. Following are the steps you need to follow to set up an Android device (Samsung Galaxy S3) as Test agent. However almost same steps you need to follow to add iOS app. 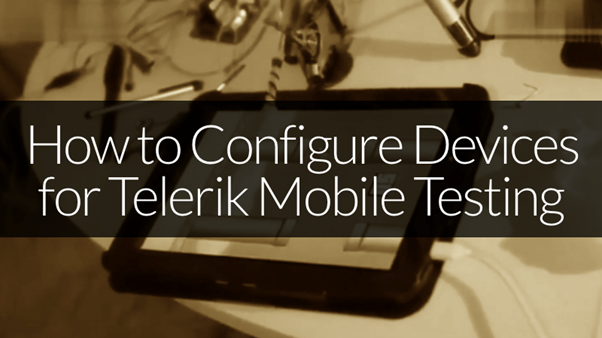 Download and extract the Telerik Mobile Testing archive to your machine. Navigate to Telerik Mobile Testing folder and run start_win.exe. This will launch the Test Runner with its default configuration and open a browser window that points to the Test Runner execution environment. It will launch Test Runner in browser. As of now you there is no Agent added to the Test Runner. When launched, the app will be not connected to the Test Runner. To connect it to Test Runner, click on setting in Application. You will find setting option in top right. In Setting you need to provide IP Address of machine in which Test Runner is running. You can find IP address of machine by running ipconfig command on command prompt in Windows devices. Ensure that you have provided port address as 8081. 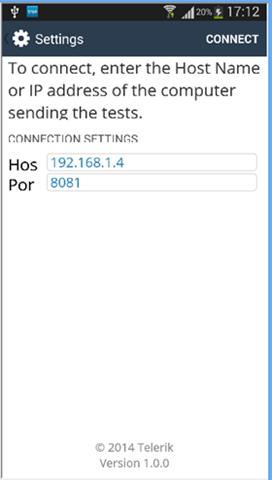 Once you have provided Host as IP Adress of machine on which Test Runner is running (You can provide host name also) and port address as 8081, click on Connect to connect device with Test Runner. 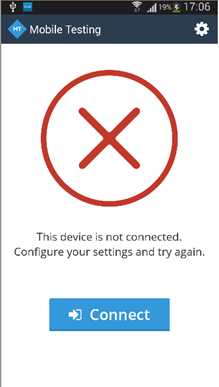 On successful connection you will get message in App as this device is connected and ready to run tests. 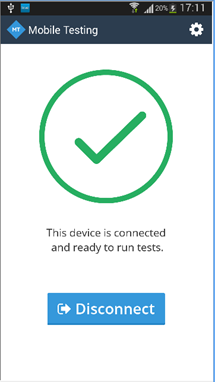 Now you can select device as Test Agent and run the Application Test on real device. I hope this post will help you in setting up device as Test Agent with ease and explain you why you need to test application on real devices. Thanks for reading. On Feb 13 2014 we conducted the webinar on “Kendo UI Mobile Tips and Tricks”. This blog post will provide you some of the resources from the webinar like Slide Deck, Video recording of the webinar. 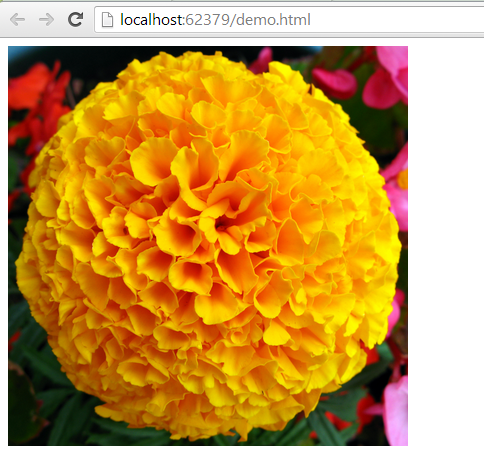 This will allow you to select image on DOM. Put mouse for some time and you will get a blue bubble. On clicking of blue bubble you will get option to Image Verification. Next you need to click on Image Verification. 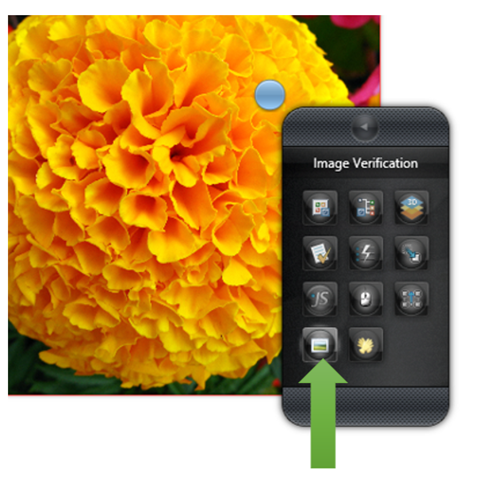 On clicking you will get Image Verification dialog box. To do exact match you need to put Total Difference as 0. Recommended is to put in between 1 to 5 %. If you want to verify certain area of image then uncheck Verify Entire Image checkbox and configure X axis, Y axis, Width and Height value. I have recorded a very simple test for image verification with two steps as below. You can see that error tolerance has been set to 2%. 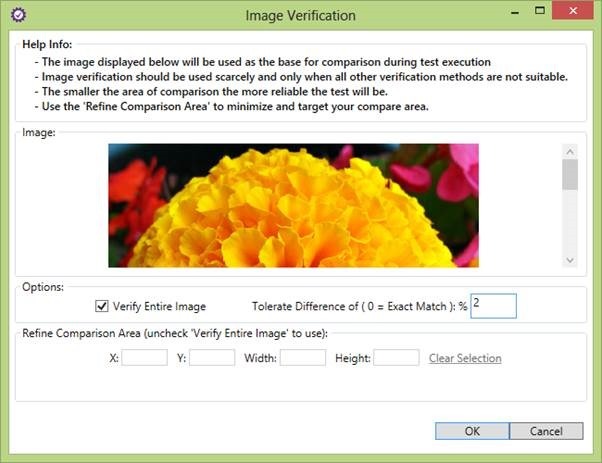 Assume if test fails in image verification step then you will get information as below that Images are not the same. 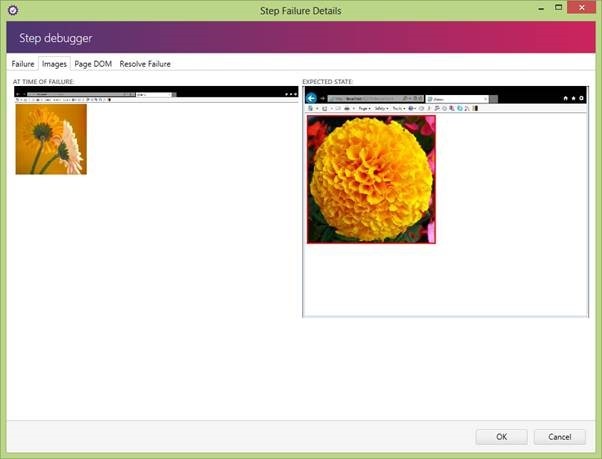 We just learnt that Test Studio allows us to perform automation of image verification without writing any script. I hope you find this post useful. Thanks for reading. You can consider this post as second post of the series. 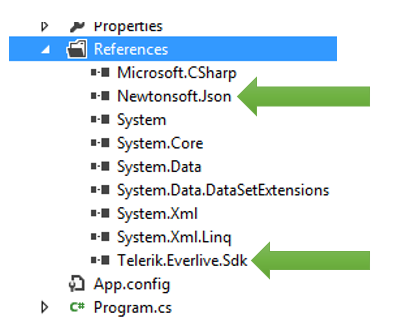 In first post of this series we learnt about fetching data from Telerik Everlive in a .Net application. Fetching data from Everlive in .Net application. We are creating item to be inserted. This item is instance of client side representation (class) of Everlive content type. In this case we are creating object of Products. This will pass as parameter to Create function. 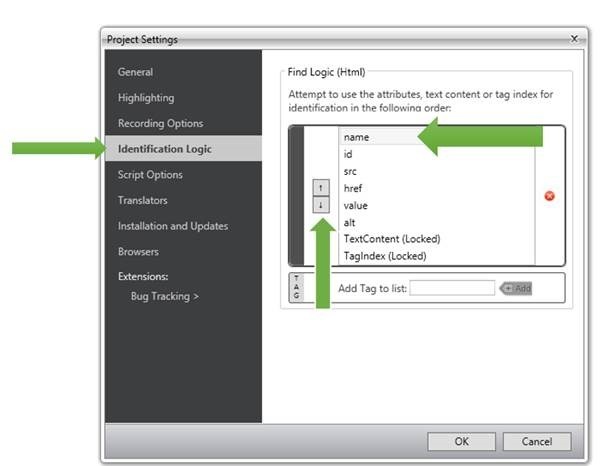 So these simple steps you need to follow to insert an item from .Net application to Telerik Everlive content type. Next you can update an item by first fetching it on basis of id or any other column. Once data is fetched at the client application , you can update that and using Update() function save data back to Everlive server. These simple steps are required to update an item from .Net application. These simple steps are required to perform CRUD operation from .Net application on Telerik Everlive data. I hope you find this post useful. Thanks for reading. To start with and put in a single sentence Telerik Everlive in Backend as a Service offering from Telerik. In this post we will take a look on fetching data from Everlive in a .Net application. We will consider using .Net Console Application. 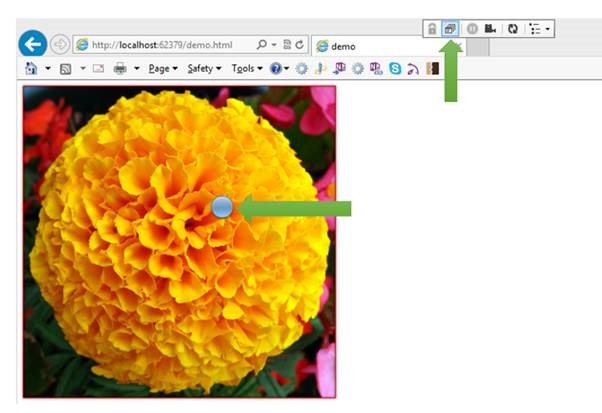 However concept will be same for almost all other kind of .Net applications like WPF, Windows Apps. To start with download .NET SDK from here . On download page make sure that you have selected .NET platform. 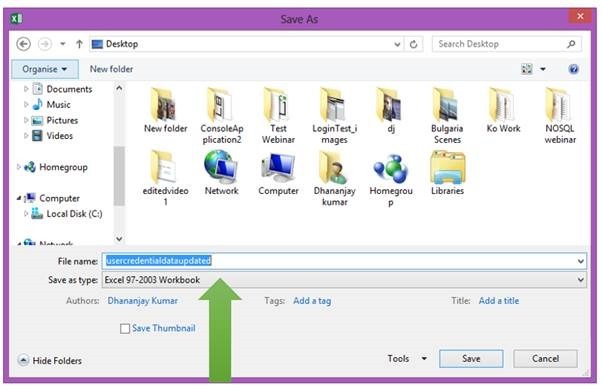 Download and extract folder. You should get two dll. You need to add these dll in .Net project. To add dll in project right click on Reference in project. From context menu select option of Add Reference. You need to add above two extracted dll in the project. Class should inherit from DataItem. It is not a must condition though. Important point is that you need to pass client side type (class) in this case Product to fetch items. You need to make an instance of EverliveApp class passing your app key in the constructor. 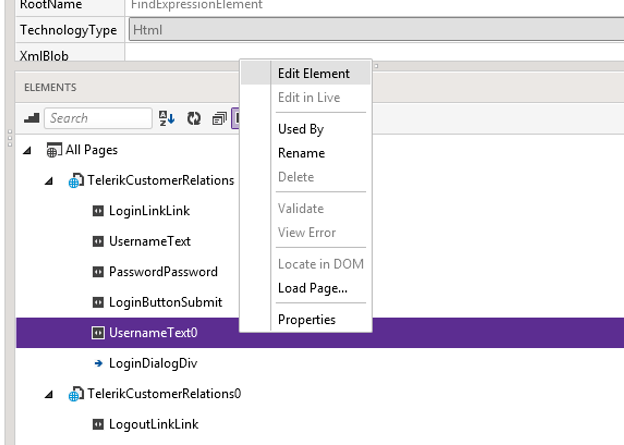 This is all you need to do to fetch elements from Telerik Eeverlive in a .Net Console Application. I hope you like this post. Thanks for reading. 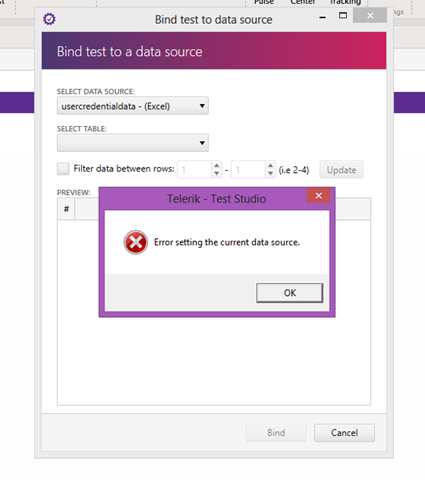 Okay, so have you come across this error while binding an Excel File as DataSource to a Test in Test Studio? You may get this error when you are working with fie saved in Excel 2013 format. Now how to solve this error? Very easily you can solve this error by saving Excel file in Excel97-2003 Workbook format. Click on Enable log to enable log in Test Studio. After installing it you should able to work with Excel file regardless of it format is Data Source in Test Studio. I hope this post useful. Thanks for reading. On 12th December 2013, we conducted webinar on Journey from Manual to Automated Tester in 1 Hrs. We had great time teaching Automated Testing over web to audience of more than 150. Which all technologies that can be automated by Test Studio? Can we perform Load testing for more than 100 virtual users? Can we do automation testing for excel application? Verifying whether data being written to Excel file. What programming languages does it support? Can test studio access Linux System? No Test Studio does not work on Linux system. As of now Test Studio supports only Windows. Can you please show how we parameterise the user name and password? How this tool is handled browser pop-up? Is there any option for automating silver light application? 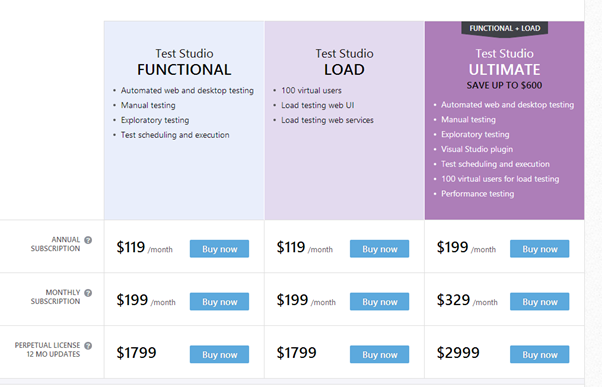 Unfortunately Test Studio does not support Flex application testing. Can we do testing for Kendo UI applications? Telerik TestStudio is now subscription based. Now as user you have three options to choose from. You have now monthly and yearly subscription option. You can choose among three bundles as per your requirement. I hope you will find new subscription based model along with new features exiting. Test Studio rocks. Let me start with explaining this question little bit more. So when you record a test, TestStudio saves information about elements in Element Repository. While executing test, TestStudio try to identify element in Element Repository on basis of Identification Logic saved. TestStudio waits for 30ms to find element. Now there could be scenario when 30ms is not enough and you want to change this default wait on step value. Let us learn how can we change this? To change default wait to find element in a step, click on edit steps. You will get an option of UseStepWaitOnElements. You need to check the check box as given below. Once you check this check box, next go to step property. There you will find WaitOnElement property field editable. Here you need to put desired wait time to find an element for a particular step. 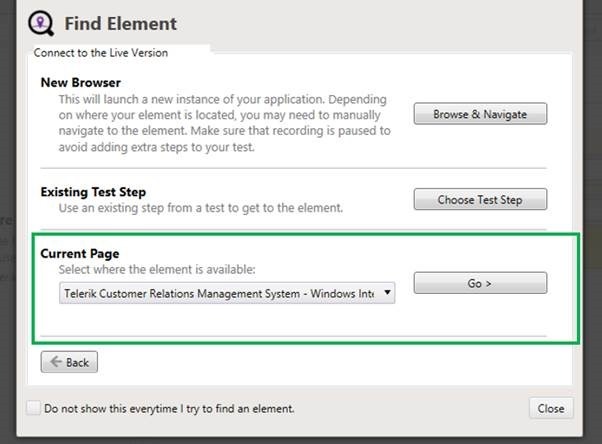 This is what all you need to do to change default wait time for elements. I hope you find this post useful. Thanks for reading. 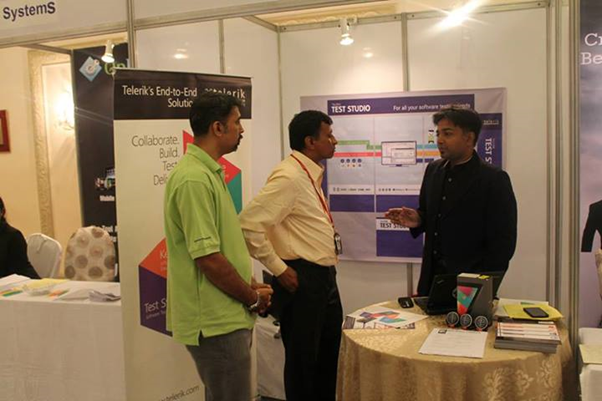 We are happy to announce that Telerik team was present at STC 2013 on 4-5th December in Bangalore. We had great time talking, interacting and advocating our products to esteem audience. Telerik had a booth at the event and we witnessed great response from audience at booth. It was one of the premiere event with large number of audience. 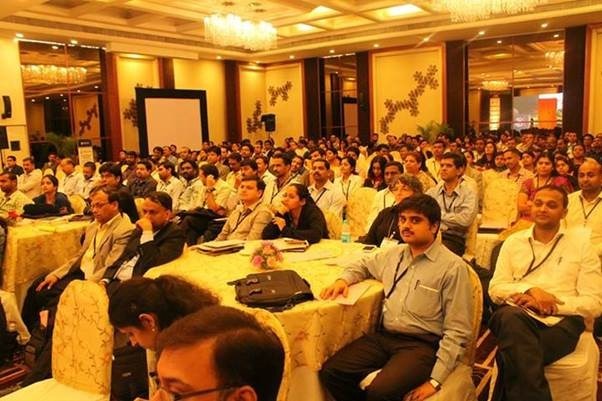 There were industry known speakers and audience from profile of Test Director to junior level Test Professional. 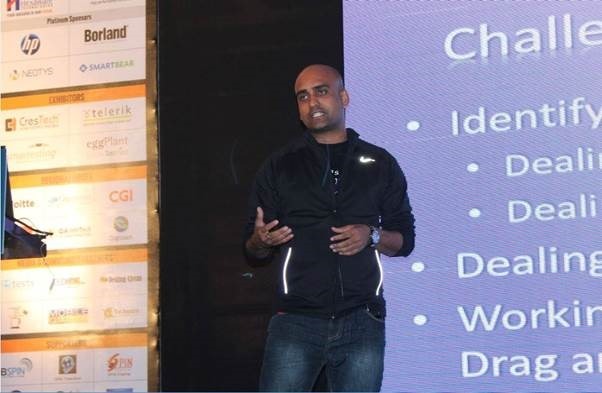 Our Evangelist Dhananjay Kumar did two presentations at event. At first day he gave a Test Studio tool demo. Second day he had a talk on “A Look on Automated Web Testing”. In talk he focused on how to handle dynamic id and Ajax in web test automation. 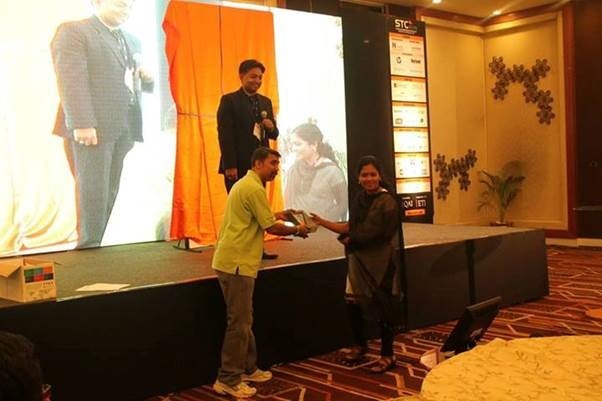 We gave away more than 100 Telerik Ninja TShirts and Nexus 7 Tablet to winner of lucky draw. Okay, so I will start this post saying there is not a single golden rule to handle dynamic id while automating Test. It depends, I repeat it depends. In this post I will focus on various ways you can handle dynamic id in Test Studio. Let us say you are sure that id is going to be dynamic throughout the application. And you cannot rely on id to identify element. In this scenario Test Studio allows you to configure Identification Logic at the Test Project level. You can change that in Project Settings. By default Test Studio finds and element on following identification logic. It search on the id AND tagname. This is set for the Test Project level. Now we know that id for application in test is going to be dynamic and we want to change the FindLogic to some other tag. In other words we want to change default Find Logic for whole Test Project. To do this navigate to Project Settings. In Project Setting dialog box click on identification logic. Here you can find identification logic and change it as per requirement to your project. As you can clearly see that by default Test Studio find an element on its Id. 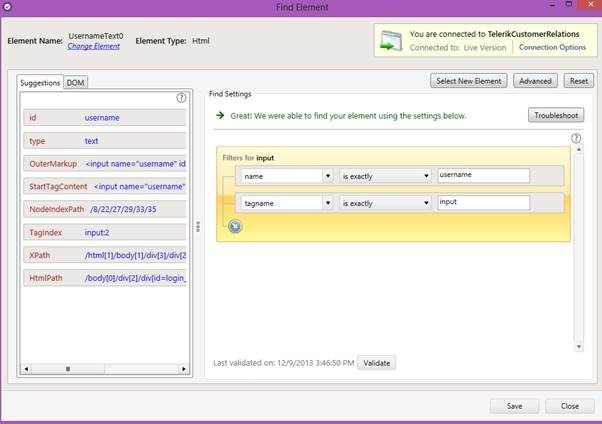 If you consider that Name of the elements are not expected to change frequently then you can consider to change project setting to find an element on its Name attribute. 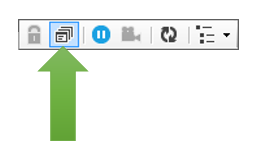 To change FindLogic select any attribute then click on up/down arrow to change its position. For example Name is at second from top. 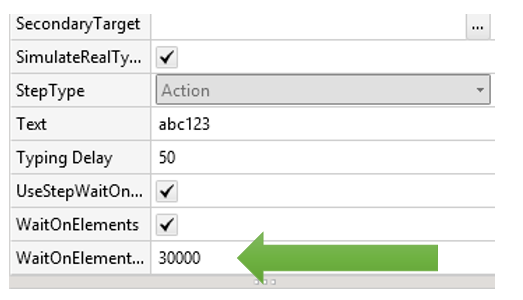 To make it first attribute on which Test Studio will find element select Name and then click on up arrow button to bring it at the top in the list. In this way you can configure FindLogic. You may notice that if required you can add new Tag to list as well. After reconfiguring Identification Logic you can find that now FindLogic for whole Test project (recording which will happen after changing logic) has been set to name and tagname. Second scenario could be you need to change identification logic only for a particular element. You do not want to change identification logic for whole Test project rather for a particular element. Test Studio allows you to do that as well. To do this select element from Element Repository and right click. From context menu select Edit Element. When click on Edit Element, next you will get various options to Find Element. Let us Find Element in Live Version. 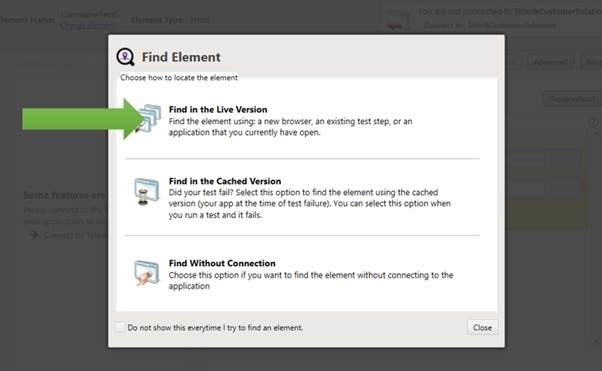 To find element in Live Version make sure that application is already open in browser. Since already application is opened here so select open Current Page and select application from drop down. 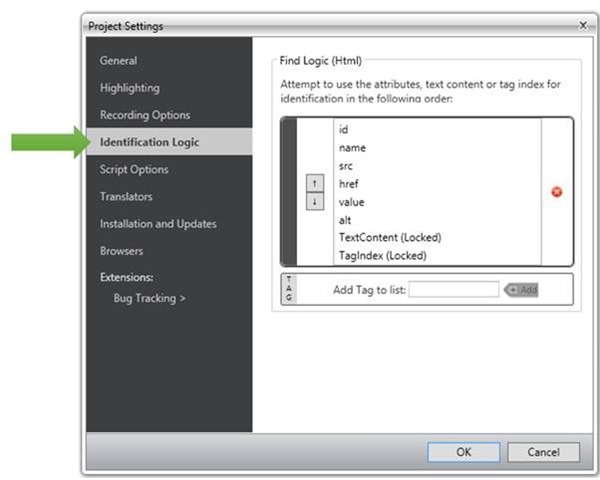 After navigating to application you will find Elements current FindLogic. To delete current logic move mouse and you get option like below to delete current filter. After deleting both filter let us use XPath to find element. This is what all you need to change FindLogic for a particular element. You can see in Element Repository that FindLogic has been changed to XPath. So far in above two scenario we saw that if Id is dynamic we can change it to some other attribute of element like Name, XPath etc. Now there could be scenario that you cannot rely on any attributes. Now above test will fail if order of elements in Grid is changed. So in this kind of scenario you cannot rely on either id or XPath of element. There could be many ways you can fix and automate test to find whether employee e2 exists in db or not. Test Studio allows you to write your custom logic using Coded Step. So we can write a coded step as below. In above coded step, we are finding reference of Grid then searching Employee ‘e2’ in whole grid and then asserting if count is equal to 1 to verify existence of Employee e2. So in this scenario we are not finding element on any of the attribute and writing our own logic in script to find element. We learnt in this post that there are various ways to deal with dynamic id. Again there is not a single bullet proof method to deal with dynamic id. It depends on the scenario that how dynamic id cane be handled while automating test. In this post we will learn to send Email using Telerik Everlive. Everlive is a cloud based Backend as a Service. It provides you many functionalities using Email Services. You can send Email from your app using Telerik Everlive. There are two components in Everlive Email Service. You need id of Email Template to send Email. Okay so in this post we are going to create Email Template in portal. To create Email Template login to portal and you will get option to create Email Template. As you see there are four default Email Templates already available in Telerik Everlive. To create new template click on Add an item and at right hand side you get option to create new Email Template. After successful creation of new Email Template you can view that in Template List. You need ID of the Email Template at code to send Email from App. Make sure that you have copied API key and Account Key of application. You need this to send Email using code. You can get keys by clicking on API KEYS in left options. Okay so we have done configuration at portal. We created Email Template. Next we need to send Email from app. We can send Email using REST API. 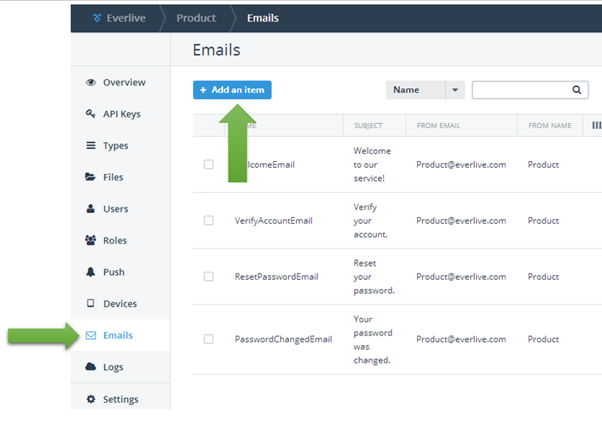 Once you have created recipients you need to make a AJAX post to send an Email using Telerik Email. You can send an Email using code below. That’s it. You need to do only this much of work to send an Email using Telerik Everlive from Cross-platform application. I hope you find this post useful. Thanks for reading.